**All my books are available in paperback/hardback on Amazon, Kindle, iBook and independent booksellers. I’ve included links to the publisher outlets. Thanks for your support. 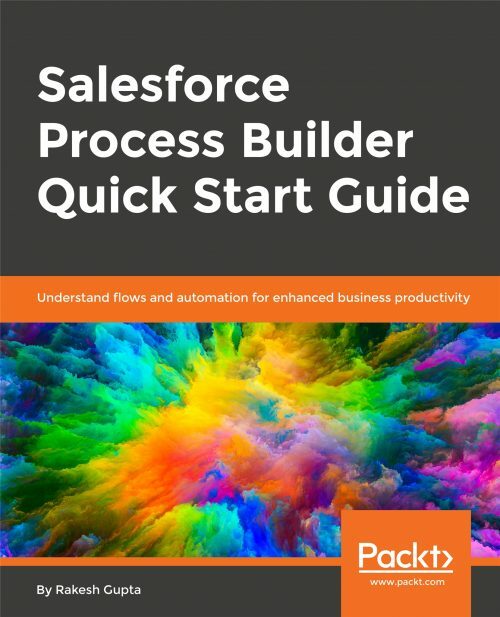 This book is intended for those who want to use Process Builder to automate their business requirements by clicks – not code. Whether you are new to Salesforce, or a seasoned user, you will unearth valuable insights from the book and enhance your ability to creatively build ‘out-of-the-box’ solutions. Since Salesforce maintains an incredibly user-friendly interface, no previous experience in computer coding or programming is required. After completing this book, you will gain a deeper understanding of best practices and its applications. This book is intended for those who want to use Visual Workflow to automate their business requirements by click, not code. 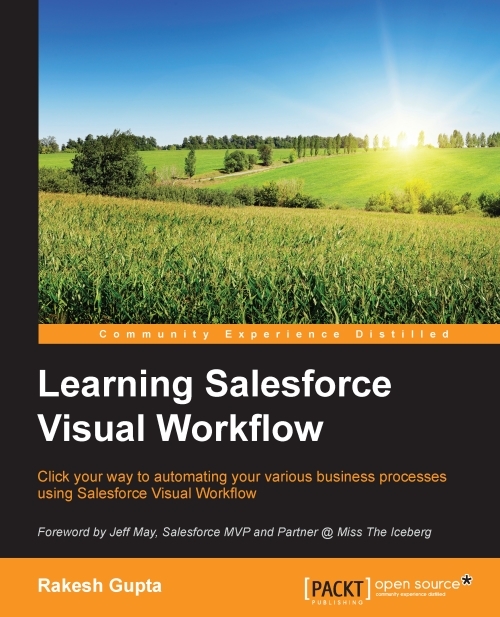 Whether you are new to Salesforce or you are a seasoned expert, you will be able to master both Visual Workflow and Process Builder. Since Salesforce maintains an incredibly user-friendly interface, no previous experience in computer coding or programming is required. The things that you do require are your brain, your computer with a modern web browser, a free Salesforce developer org, and just basic knowledge of Salesforce. This book is all about mastering the Salesforce advanced admin part, taking your skills as an administrator or developer and tuning them for the unique features of the Salesforce platform. I have discussed many complex topics in this book, such as territory management, forecasting, quota, escalation rule, knowledge base, Visual Workflow, Process Builder, deployment using Force.com Migration Tool and more. This book covers almost all the topics mentioned in Salesforce certified Advanced Administrator certificeation examination study guide. The book is written for anyone, from a newbie to an experienced professional in the Salesforce arena, who wants to learn or explore various aspects of Salesforce customization. 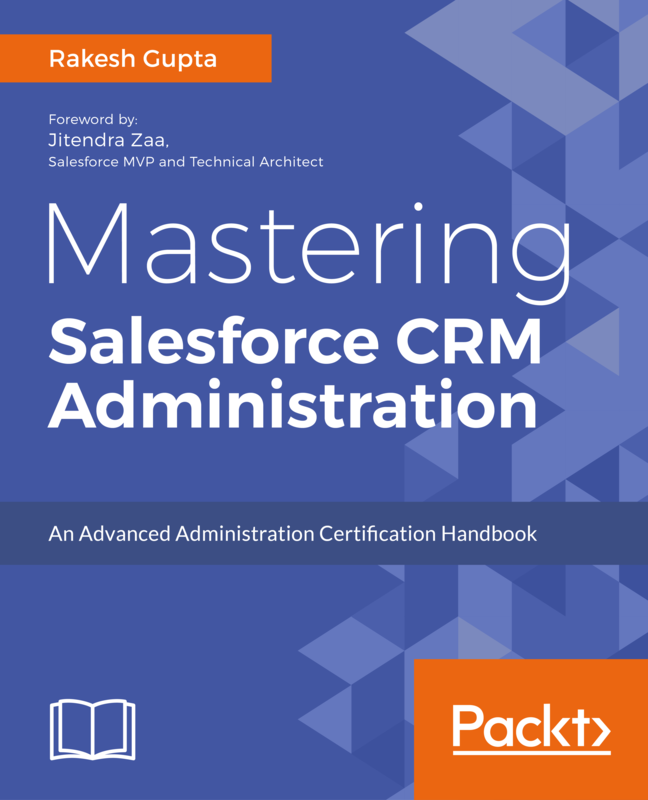 This book is also helpful for those who are preparing for the Salesforce Certified Admin Certification examination (ADM 201). The book covers topics like user experience management, data security aspects, e-mail administration, and discusses various ways that can be adopted to streamline business processes. 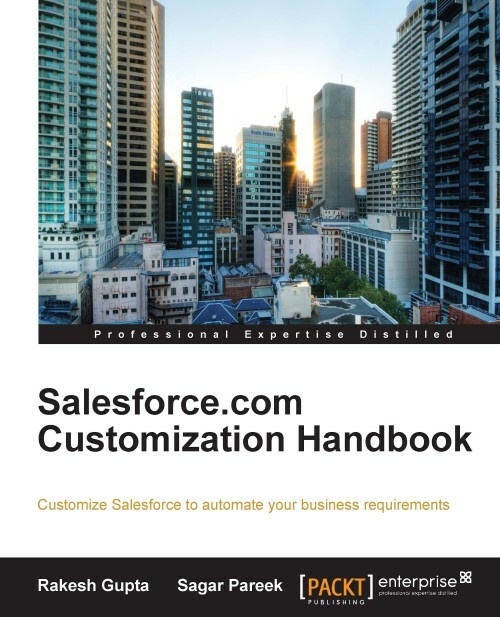 By the end of this book, you will be able to customize Salesforce and manage Salesforce-related data in your organization. 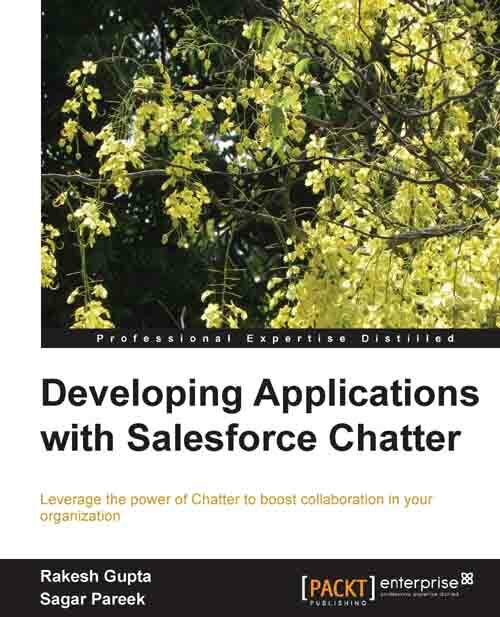 This book is a hands-on guide focused on the configuration and customization of Chatter. This book will act as both a reference for experienced developers and a customization guide for newbies who want to set up Chatter for their organization.